Tjailatyd is a self catering lodge and is rented out as a group venue. It can sleep max 16 adults and 8 children. The camp includes the use of the entire venue and all eight rooms and can accommodate a maximum of 16 adults and eight children. Air-conditioned rooms 1 to 4 each sleep a family of four with two single beds and one double sleeper couch per room, while Rooms 5 to 8 each contain twin single beds. 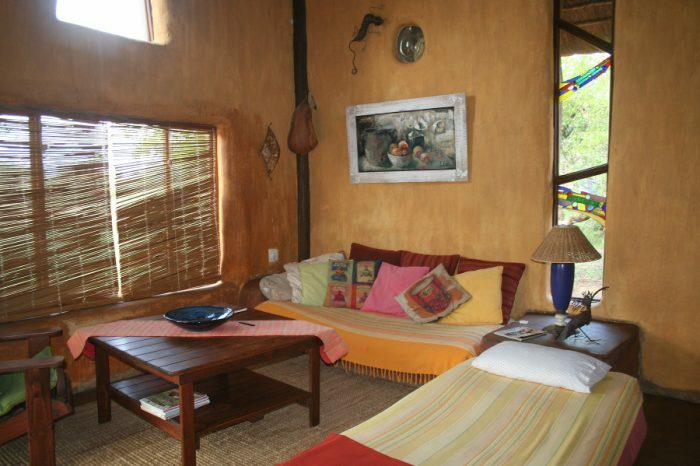 Tjailatyd also offers a lapa area complete with a swimming pool, boma and braai area. 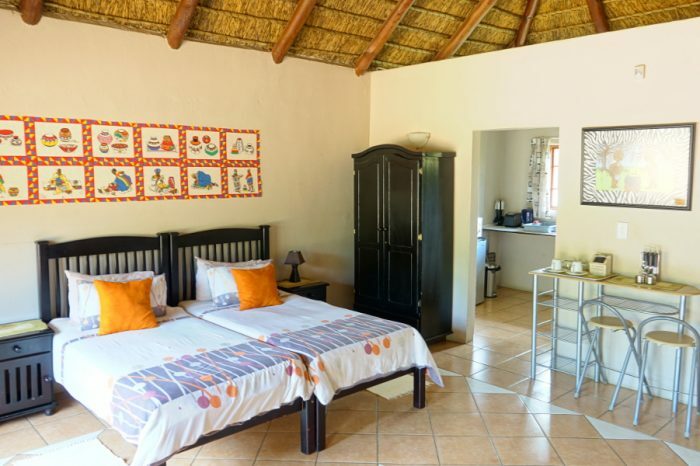 The kitchen is fitted with all necessities such as a conventional oven, a microwave, deep freezers and fridges, ice machine, braai grids, utensils and ample crockery and cutlery. 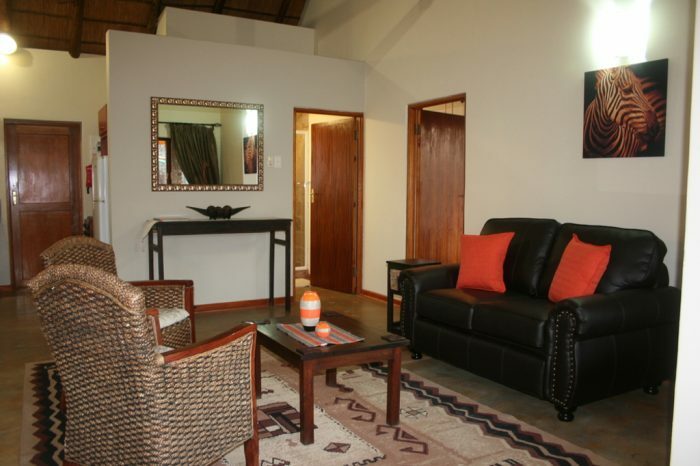 Visitors can also make use of a cozy lounge area with DSTV. Domestic cleaning services are included. For all those with an extreme amount of energy, a jungle gym, sandpit and volleyball field is available to explore the extent of your fitness levels, not to mention bestowing a degree of rest on the parents. Kids are also most welcome to bring their own bicycles to cycle in the enclosed area.